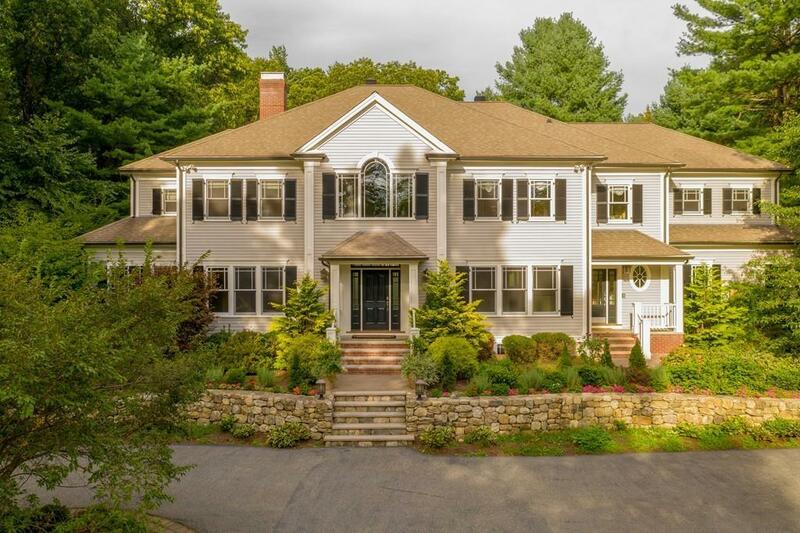 This spectacular colonial estate built in 2002 features over 8,000 square feet of living space perfectly sited on 1.5 acres of land. Beautifully designed with the highest quality finishes throughout, this 6-bedroom home offers a classic elegance rarely found today. The two-story foyer provides a striking entry with adjacent, sun-filled living room and dining room. At the center of the home, the fully-equipped chefs kitchen with large granite-topped center island and breakfast area opens to an expansive family room with stone-faced fireplace, handsome millwork, coffered ceiling and French doors leading to the sun room with views of the manicured grounds. A large office with cherry built-ins and spacious en-suite guest bedroom complete the first floor. There are 5 bedrooms on the 2nd floor including the master suite with fireplace and generous bath. The expansive and newly-finished lower level includes a media room, recreation room and exercise room.